Katrin Weller is senior researcher at GESIS since January 2013. Since August 2015 she is leading the team "Social Analytics and Services" in the Computational Social Science Department. From January to June 2015 Katrin stayed at the Library of Congress in Washington, D.C., on a Digital Studies Fellowship by the John W. Kluge Center. From 2006-2012 she was researcher and lecturer at the Department of Information Science, Heinrich-Heine-University Düsseldorf. She received her PhD in Information Science in May 2010 for her dissertation “Knowledge Representation in the Social Semantic Web”. Katrin completed a Magistra Artium degree in History, Media Studies and Information Science in 2005. She has organised several scientific workshops and conferences and is frequently serving in programme committees for international conferences and journals. 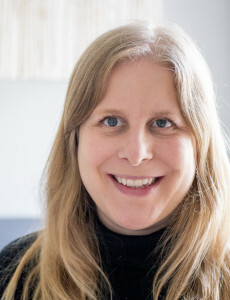 She has regularly taught courses in Information Science since 2006, covering topics such as knowledge representation and document indexing, ontology engineering, information retrieval and informetrics. Please do not hesitate to get in touch with any practical questions concerning social media data usage in social science research or with questions and comments on the role of new data sources for social science research. "The Hidden Data of Social Media Research"
Weller, Katrin. 2010. Knowledge representation in the social semantic web. Knowledge & information. Berlin: De Gruyter Saur. co-located with the 25th International World Wide Web Conference (WWW 2016). 1691. Aachen: CEUR. urn: urn:nbn:de:0074-1691-8. http://ceur-ws.org/Vol-1691/. Weller, Katrin, and Markus Strohmaier, ed. 2014. Social Media. Special issue of it - Information Technology 5 (56). Berlin: De Gruyter Saur. Weller, Katrin, Axel Bruns, Jean Burgess, Merja Mahrt, and Cornelius Puschmann, ed. 2014. Twitter and society. Digital Formations 89. New York u.a. : Peter Lang. Bruns, Axel, and Katrin Weller, ed. 2014. Twitter data analysis. Special Issue of Aslib Journal of Information Management 66 (3). Bingley: Emerald. Tokar, Alexander, Michael Beurskens, Susanne Keuneke, Merja Mahrt, Isabella Peters, Cornelius Puschmann, Timo van Treeck, and Katrin Weller, ed. 2012. Science and the Internet. Düsseldorf: Düsseldorf University Press. http://www.uni-duesseldorf.de/home/fileadmin/redaktion/DUP/PDF-Dateien_/Open_Access/Science_and_the_Internet_OA.pdf. Ockenfeld, Marlies, Isabella Peters, and Katrin Weller, ed. 2012. Social Media und Web Science: Das Web als Lebensraum. Frankfurt a.M.: DGI . Peters, Isabella, Cornelius Puschmann, Violeta Trkulja, and Katrin Weller, ed. 2010. Social Software @ Work: Collaborative Work, Communication and Knowledge Management in Theory and Practice. CEUR Workshop Proceedings 591. http://ftp.informatik.rwth-aachen.de/Publications/CEUR-WS/Vol-591/. Kinder-Kurlanda, Katharina E., Katrin Weller, Wolfgang Zenk-Möltgen, Jürgen Pfeffer, and Fred Morstatter. 2017. "Archiving Information from Geotagged Tweets to Promote Reproducibility and Comparability in Social Media Research." Big Data & Society 4 (2): 1-14. doi: http://dx.doi.org/10.1177/2053951717736336. Weller, Katrin. 2016. "Trying to understand social media users and usage : The forgotten features of social media platforms." Online Information Review 40 (2): 256-264. doi: http://dx.doi.org/10.1108/OIR-09-2015-0299. Weller, Katrin. 2015. "Accepting the Challenges of Social Media Research." Online Information Review 39 (3): 281-289. http://www.emeraldinsight.com/doi/pdfplus/10.1108/OIR-03-2015-0069. Weller, Katrin, and Markus Strohmaier. 2014. "Social media in academia: how the Social Web is changing academic practice and becoming a new source for research data (guest editorial for special issue)." it - Information Technology 56 (5): 203–206. doi: http://dx.doi.org/10.1515/itit-2014-9002. http://www.degruyter.com/view/j/itit.2014.56.issue-5/itit-2014-9002/itit-2014-9002.xml. Bruns, Axel, and Katrin Weller. 2014. "Twitter data analytics – or: the pleasures and perils of studying Twitter (guest editorial for special issue)." Aslib Journal of Information Management 66 (3): 246-249. doi: http://dx.doi.org/10.1108/AJIM-02-2014-0027. http://www.emeraldinsight.com/toc/ajim/66/3. Weller, Katrin. 2014. "What do we get from Twitter – and what not? : A close look at Twitter research in the social sciences." Knowledge Organization 41 (3): 238-248. Klein, Raphael N., Lisa Beutelspacher, Katharina Hauk, Christina Terp, Denis Anuschewski, Christoph Zensen, Violeta Trkulja, and Katrin Weller. 2009. "Informationskompetenz in Zeiten des Web 2.0 : Chancen und Herausforderungen im Umgang mit Social Software." Information - Wissenschaft & Praxis : IWP 60 (3): 129–142. Weller, Katrin. 2009. "Ontologien : Stand und Entwicklung der Semantik für das World Wide Web." LIBREAS 15 (2). http://libreas.eu/ausgabe15/texte/001.htm. Mainz, Indra, Katrin Weller, Ingo Paulsen, Dominic Mainz, Jochen Kohl, and Arndt von Haeseler. 2008. "Ontoverse: collaborative ontology engineering for the life sciences." Information - Wissenschaft & Praxis : IWP 59 (2): 91–99. Peters, Isabella, and Katrin Weller. 2008. "Paradigmatic and syntagmatic relations in knowledge organization systems." Information - Wissenschaft & Praxis : IWP 59 (2): 100–107. Peters, Isabella, and Katrin Weller. 2008. "Tag gardening for folksonomy enrichment and maintenance." Webology 5 (3). http://www.webology.org/2008/v5n3/a58.html. Weller, Katrin, and Wolfgang G. Stock. 2008. "Transitive meronymy : automatic concept-based query expansion using weighted transitive part-whole relations." Information - Wissenschaft & Praxis : IWP 59 (3): 165–170. Altvater-Mackensen, Nicole, Gregor Balicki, Lucie Bestakowa, Bianca Bocatius, J. Braun, L. Brehmer, V. Brune, K. Eigmeier, F. Erdem, Ralf Fritscher, A. Jacobs, Bernd Klingsporn, M. Konsinski, J. Kuntze, Ju-Ra Lee, Anna Osterhage, M. Probost, T. Risch, T. Schmitt, Wolfgang G. Stock, A. Sturm, Katrin Weller, and Kerstin Werner. 2005. "Science and technology in the region : the output of regional science and technology, its strengths and its leading institutions." Scientometrics 63 (3): 463–529. für den Umgang mit quantitativen Forschungsdaten, 193-210. doi: http://dx.doi.org/10.3224/84742233.12. Zagovora, Olga, Katrin Weller, Milan Janosov, Claudia Wagner, and Isabella Peters. 2018. "What increases (social) media attention: Research impact, author prominence or title attractiveness?." In STI 2018 Conference Proceedings, 1182-1190. Centre for Science and Technology Studies (CWTS). doi: http://dx.doi.org/10.31235/osf.io/mwxye. urn: http://hdl.handle.net/1887/65362. Zagovora, Olga, and Katrin Weller. 2018. "YouTube videos as a place for public discussion of science?." In The 2018 Altmetrics Workshop, 1-16. http://altmetrics.org/wp-content/uploads/2018/04/altmetrics18_paper_8_Zagovora.pdf. Samoilenko, Anna, Florian Lemmerich, Katrin Weller, Maria Zens, and Markus Strohmaier. 2017. "Analysing Timelines of National Histories across Wikipedia Editions: a Comparative Computational Approach." In Proceedings of the Eleventh International AAAI Conference on Web and Social Media (ICWSM 2017), Montréal, Québec, Canada, May 15-18, 2017, 210-219. Ann Arbor, MI: AAAI Press. https://www.aaai.org/ocs/index.php/ICWSM/ICWSM17/paper/view/15618. Weller, Katrin, and Isabella Peters. 2017. "Scholarly Communication in Social Media." In The SAGE Handbook on Social Media, edited by Jean Burgess, Alice Marwick, and Thomas Poell, 592-613. Mayr, Philipp, and Katrin Weller. 2017. "Think before you collect: Setting up a data collection approach for social media studies." In The SAGE Handbook of Social Media Research Methods, edited by Luke Sloan, and Anabel Quan-Haase, 107-124. SAGE Publications Ltd.
Weller, Katrin, and Katharina E. Kinder-Kurlanda. 2017. "To Share or Not to Share? : Ethical Challenges in Sharing Social Media-based Research Data." In Internet Research Ethics for the Social Age, edited by Michael Zimmer, and Katharina E. Kinder-Kurlanda, 115-129. New York u.a. : Peter Lang. Weller, Katrin, and Katharina E. Kinder-Kurlanda. 2016. "A manifesto for data sharing in social media research." In Proceedings of the 8th ACM Conference on Web Science (WebSci '16), 166-172. New York: ACM. doi: http://dx.doi.org/10.1145/2908131.2908172. http://dl.acm.org/citation.cfm?doid=2908131.2908172. Weller, Katrin. 2016. "The digital traces of user-generated content: how social media data may become the historical sources of the futur." In Managing Digital Cultural Objects: Analysis, discovery and retrieval, edited by Allen Foster, and Pauline Rafferty, 61-86. Facet Publishing. http://www.facetpublishing.co.uk/title.php?id=049412#about-tab. Weller, Katrin, and Axel Bruns. 2016. "Twitter as a first draft of the present: and the challenges of preserving it for the future." In WebSci' 16: Proceedings of the 8th International ACM Web Science Conference, 183-189. New York: ACM. doi: http://dx.doi.org/10.1145/2908131.2908174. http://www.ssoar.info/ssoar/handle/document/46886. Weller, Katrin. 2015. "Social media and altmetrics: an overview of current alternative approaches to measuring scholarly impact." In Incentives and performance : governance of research organizations, edited by Isabell M. Welpe, Jutta Wollersheim, Stefanie Ringelhan, and Margit Osterloh, 261-276. Berlin: Springer. http://www.performancemanagement.wi.tum.de/fileadmin/w00bkk/www/Buch/manuscripts/Weller.pdf. Oxford University, May 26, 2015 – May 29, 2015, AAAI Technical Report WS-15-18, 28-37. Ann Arbor, MI: AAAI Press. http://www.aaai.org/ocs/index.php/ICWSM/ICWSM15/paper/viewFile/10657/10552. Kinder-Kurlanda, Katharina E., and Katrin Weller. 2014. "'I always feel it must be great to be a hacker! ': The role of interdisciplinary work in social media research." In Proceedings of the 2014 ACM conference on Web Science, 91-98. New York: ACM. doi: http://dx.doi.org/10.1145/2615569.2615685. https://katrinweller.files.wordpress.com/2012/08/hiddendata_websci14-preprint_kinder-kurlandaweller2014.pdf. Puschmann, Cornelius, Axel Bruns, Merja Mahrt, Katrin Weller, and Jean Burgess. 2014. "Epilogue: why study Twitter?." In Twitter and society, edited by Katrin Weller, Axel Bruns, Jean Burgess, Merja Mahrt, and Cornelius Puschmann, 425-432. New York u.a. : Lang. http://katrinweller.files.wordpress.com/2012/08/twitter-and-society-epilogue-2014.pdf. Weller, Katrin, and Katharina E. Kinder-Kurlanda. 2014. "I love thinking about ethics: Perspectives on ethics in social media research." In Selected Papers of Internet Research (SPIR). Proceedings of ir15 - Boundaries and Intersections, http://spir.aoir.org/index.php/spir/article/view/997. Weller, Katrin, Axel Bruns, Jean Burgess, Merja Mahrt, and Cornelius Puschmann. 2014. "Twitter and society: an introduction." In Twitter and society, edited by Katrin Weller, Axel Bruns, Jean Burgess, Merja Mahrt, and Cornelius Puschmann, xxix-xxxviii. New York u.a. : Lang. http://katrinweller.files.wordpress.com/2012/08/twitter-and-society-introduction-2014.pdf. Bruns, Axel, Katrin Weller, and Stephen Harrington. 2014. "Twitter and sports: football fandom in emerging and established markets." In Twitter and society, edited by Katrin Weller, Axel Bruns, Jean Burgess, Merja Mahrt, and Cornelius Puschmann, 263-280. New York u.a. : Lang. http://katrinweller.files.wordpress.com/2012/08/twitter-and-society-twitter-and-sports-2014.pdf. Mahrt, Merja, Katrin Weller, and Isabella Peters. 2014. "Twitter in scholarly communication." In Twitter and society, edited by Katrin Weller, Axel Bruns, Jean Burgess, Merja Mahrt, and Cornelius Puschmann, 399-410. New York u.a. : Lang. http://katrinweller.files.wordpress.com/2012/08/twitter-and-society-scholarly-communication-2014.pdf. Weller, Katrin. 2014. "Twitter und Wahlen: Zwischen 140 Zeichen und Milliarden von Tweets." In Big Data: Analysen zum digitalen Wandel von Wissen, Macht und Ökonomie, edited by Ramón Reichert, 239-257. Bielefeld: transcript. Rahlf, Thomas, and Katrin Weller. 2014. "Visualisierung großer Datenmengen aus Social Media Diensten." In Soziale Medien: Gegenstand und Instrument der Forschung, edited by Christian König, Matthias Stahl, and Erich Wiegand, 137-159. Wiesbaden: Springer VS.
Weller, Katrin, and Axel Bruns. 2013. "Das Spiel dauert 140 Zeichen: wie deutsche Fußballvereine Twitter für Marketing und Fan-Kommunikation entdecken." In HiER 2013. Proceedings des 8. Hildesheimer Evaluierungs- und Retrievalworkshop, edited by Joachim Griesbaum, Ben Heuwing, Josef Ruppenhofer, and Katrin Werner, 119-131. Hildesheim: Universität Hildesheim. https://www.uni-hildesheim.de/media/fb3/informationswissenschaft/HIER/hier2013_proceedings_vorab.pdf. Weller, Katrin, and Axel Bruns. 2013. "Friends or followers? The relations between German soccer clubs and their fans on Twitter." In Selected Papers of Internet Research (SPIR). Proceedings of ir14 - Resistence and Appropriation, http://spir.aoir.org/index.php/spir/article/view/852. Weller, Katrin. 2013. "Ontologien." In Grundlagen der praktischen Information und Dokumentation, edited by Rainer Kuhlen, Wofgang Semar, and Dietmar Strauch, 207-218. Berlin [u.a. ]: De Gruyter Saur. doi: http://dx.doi.org/ 10.1515/9783110258264. http://katrinweller.files.wordpress.com/2012/08/gdpiud_b6_weller_ontologien.pdf. Demmer, Chris J., and Katrin Weller. 2013. "Stimmungsschwankungen bei Twitter? Eine Sentiment-Analyse anhand von Tweets nach der Landtagswahl in Nordrhein-Westfalen 2012." In Proceedings of the 13th International Symposium of Information Science (ISI 2013), Potsdam, March 2013, edited by Hans-Christoph Hobohm, 482-485. Glückstadt: Hülsbusch. http://opus4.kobv.de/opus4-fhpotsdam/frontdoor/index/index/docId/387. Thelwall, Mike, Kayvan Kousha, Katrin Weller, and Cornelius Puschmann. 2012. "Assessing the Impact of Online Academic Videos." In Social Information Research, edited by Gunilla Widén, and Kim Holmberg, Library and Information Science, 195-213. Emerald Publishing. doi: http://dx.doi.org/ 10.1108/S1876-0562(2012)0000005011. Weller, Katrin, and Isabella Peters. 2012. "Citations in Web 2.0." In Science and the Internet, edited by Alexander Tokar, Michael Beurskens, Susanne Keuneke, Merja Mahrt, Isabella Peters, Cornelius Puschmann, Timo van Treeck, and Katrin Weller, 209-222. Düsseldorf: Düsseldorf University Press. http://www.uni-duesseldorf.de/home/fileadmin/redaktion/DUP/PDF-Dateien_/Open_Access/Science_and_the_Internet_OA.pdf. Stock, Wolfgang G., Isabella Peters, and Katrin Weller. 2010. "Social semantic corporate digital libraries : joining knowledge representation and knowledge management." In Advances in librarianship, edited by Anne Woodsworth, Advances in librarianship 32, 137-158. Bingley: Emerald. Weller, Katrin, Isabella Peters, and Wolfgang G. Stock. 2009. "Folksonomy : the collaborative knowledge organization system." In Handbook of research on social interaction technologies and collaborative software: concepts and trends, edited by Tatyana Dumova, and Richard Fiordo, 132–146. Hershey, New York: IGI Publishing. doi: http://dx.doi.org/10.4018/978-1-60566-368-5.ch013. Samoilenko, Anna, Florian Lemmerich, Katrin Weller, Maria Zens, and Markus Strohmaier. 2017. Analysing Timelines of National Histories across Wikipedia Editions: A Comparative Computational Approach. https://arxiv.org/pdf/1705.08816. Kinder-Kurlanda, Katharina E., and Katrin Weller. 2015. Zum Stand der Interdisziplinarität in den Digital Humanities: Perspektiven aus dem Bereich der Social-Media-Forschung. DHd-Working Papers. http://dhd-wp.hab.de/?q=content/zum-stand-der-interdisziplinarit%C3%A4t-den-digital-humanities-perspektiven-aus-dem-bereich-der. Kaczmirek, Lars, Philipp Mayr, Ravi Vatrapu, Arnim Bleier, Manuela S. Blumenberg, Tobias Gummer, Abid Hussain, Katharina E. Kinder-Kurlanda, Kaveh Manshaei, Mark Thamm, Katrin Weller, Alexander Wenz, and Christof Wolf. 2014. Social media monitoring of the campaigns for the 2013 German Bundestag elections on Facebook and Twitter. GESIS Working Papers 31. Köln: GESIS. urn: http://nbn-resolving.de/urn:nbn:de:0168-ssoar-381955 . http://www.ssoar.info/ssoar/handle/document/38195. Weller, Katrin, Martin Sebastian Meckel, and Matthias Stahl. 2013. Social media. Recherche spezial 2013/01. Köln: GESIS. http://sowiport.gesis.org/Topics/Research-Special/Socialmedia. Weller, Katrin. 2018. "Are Social Media the historical sources of the future?." What can be known from the web? – Source criticism beyond bots, agents and trolls in social and cultural web research (Workshop at Web Science Conference 2018, WebSci18), 27.05.2018. https://www.herma.uni-hamburg.de/en/websci-workshop.html. Zagovora, Olga, Maryam Mehrazar, Steffen Lemke, Tara Morovatdar, Isabella Peters, and Katrin Weller. 2018. "Which social media interactions indicate positive opinions about cited publications? A comparison of user survey and sentiment analysis." The 5:AM Altmetrics Conference, 26.09.2018. Zagovora, Olga, and Katrin Weller. 2018. "YouTube videos as a place for public discussion of science?." The 2018 Altmetrics Workshop, 25.09.2018. Weller, Katrin, and Katharina E. Kinder-Kurlanda. 2016. "A manifesto for data sharing in social media research." Web Science Conference (WebSci16), 23.05.2016. Kinder-Kurlanda, Katharina E., and Katrin Weller. 2016. "Analysing digital traces: The epistemological dimension of algorithms and (big) internet data." Annual Conference of the Association of Internet Researchers (AOIR 2016), 07.10.2016. Bruns, Axel, and Katrin Weller. 2016. "Twitter as a First Draft of the Present – and the Challenges of Preserving It for the Future ." Web Science Conference (WebSci16), 23.05.2016. Weller, Katrin. 2015. "Challenges in Archiving Social Media Data for Research: The Case of Twitter." Web Archives as Scholarly Sources: Issues, Practices and Perspectives. RESAW 2015 conference , 09.06.2015. http://de.slideshare.net/katrinweller/challenges-inarchivingtwitter. Weller, Katrin, and Katharina E. Kinder-Kurlanda. 2015. "Poster on: The Hidden Data of Social Media Research: Exploring Practices and Problems of Studying Social Media Data." International Conference on Computational Social Science (ICCSS), 08.06.2015. Bruns, Axel, Anders Larsson, and Katrin Weller. 2015. "‘Black Box’ Data and ‘Flying Furball’ Networks: Challenges and Opportunities in Doing and Communicating Social Media Analytics." Annual conference – Internet Research (IR16): Digital Imaginaries, 24.10.2015. Kinder-Kurlanda, Katharina E., and Katrin Weller. 2014. "'I always feel it must be great to be a hacker! ': the role of interdisciplinary work in social media research." Web Science Conference 2014 (WebSci), 25.06.2014. http://de.slideshare.net/katrinweller/i-always-feel-it-must-be-great-to-be-a-hacker. Weller, Katrin, and Katharina E. Kinder-Kurlanda. 2014. "'I love thinking about ethics!' : Perspectives on ethics in social media research." Internet Research (IR15), 22.10.2014. http://katrinweller.files.wordpress.com/2012/08/hiddendataethics_wellerkinder-kurlanda_ir15-preprint.pdf. Kaczmirek, Lars, Philipp Mayr, Ravi Vatrapu, Arnim Bleier, Manuela S. Blumenberg, Tobias Gummer, Kjeld Hansen, Abid Hussein, Zeshan Ali Jaffari, Katharina E. Kinder-Kurlanda, Haiko Lietz, Markus Strohmaier, Claudia Wagner, Katrin Weller, Christof Wolf, and Chris James Zimmerman. 2014. "PEP-TF: Social media monitoring of the campaigns for the 2013 German Bundestag elections on Facebook and Twitter." Social Media Communication Workshop, Mannheim, 28.03.2014. Weller, Katrin, and Katharina E. Kinder-Kurlanda. 2014. "Poster on: The hidden data of social media research: exploring practices and problems of studying social media data." Computational Social Science Winter Symposium 2014, 01.12.2014. http://de.slideshare.net/katrinweller/the-hidden-data-of-social-media-rearchcsswintersymposium. Weller, Katrin, and Katharina E. Kinder-Kurlanda. 2014. "The hidden data of social media research : exploring practices and problems of working with social media data." International Conference on Infrastructures and Cooperation in e-Science and e-Humanities, 06.06.2014. http://de.slideshare.net/katrinweller/hidden-data-poster. Weller, Katrin, and Katharina E. Kinder-Kurlanda. 2014. "The hidden data of social media research : first results from expert interviews." GOR 14 : General Online Research Conference, 06.03.2014. http://conftool.gor.de/conftool14/index.php?page=browseSessions&presentations=show&form_session=7. Kinder-Kurlanda, Katharina E., and Katrin Weller. 2014. "The hidden practices & knowledge in social media research : Mapping the rethinking of modes of observation." Conference of the European Association for the Study of Science and Technology, EASST 2014, 17.09.-19.09.2014. Weller, Katrin. 2014. "What's new in social media research: a quick guide through recent publications (2012-13) for social scientists." Workshop at General Online Research (GOR14), 05.03.2014. http://conftool.gor.de/conftool14/index.php?page=browseSessions&presentations=show&form_session=75. Weller, Katrin, and Axel Bruns. 2013. "Das Spiel dauert 140 Zeichen : wie Fußballvereine Twitter für Marketing und Fan-Kommunikation entdecken." HIER 2013 - 8. Hildesheimer Evaluierungs- und Retrievalworkshop, 26.04.2013. Weller, Katrin, and Axel Bruns. 2013. "Friends or followers : German soccer clubs and their fans on Twitter." Internet Research (IR14), 25.10.2013. http://de.slideshare.net/katrinweller/ir14-soccer-wellerbruns. Weller, Katrin. 2013. "The pleasures and perils of studying Twitter." Research Social Media Conference, 04.11.2013. http://de.slideshare.net/katrinweller/the-pleasures-and-perils-of-studying-twitter. Weller, Katrin, and Chris J. Demmer. 2013. "Twitter und die Landtagswahl in Nordrhein-Westfalen 2012." Workshop “Social Media und politische Öffentlichkeit", 03.05.2013. Rahlf, Thomas, and Katrin Weller. 2013. "Visualisierung großer Datenmengen in sozialen Medien." Soziale Medien - Gegenstand und Instrument der Forschung. 10. Wissenschaftliche Tagung gemeinsam mit dem Arbeitskreis Deutscher Markt- und Sozialforschungsinstitute e. V. (ADM) und der Arbeitsgemeinschaft Sozialwissenschaftlicher Institute e. V. (ASI). Weller, Katrin. 2013. "What you can get from Twitter – and what not." World Social Science Forum 2013 (WSSF), 14.10.2013. http://de.slideshare.net/katrinweller/weller-wssf-2013presentation. Weller, Katrin. 2019. "Podiumsdiskussion "Forschungsdatenmanagement und die Herausforderungen des Datenschutzes"." Vortragsreihe Digitale Lebenswelten, 15.01.2019. Weller, Katrin. 2019. "The Challenges of Preserving and Sharing Social Media Research Data." ASIST Webinar Series, 21.03.2019. Weller, Katrin. 2019. "The challenges of preserving social media (research) data." Workshop on "Curating digital data in museums", 11.02.2019. Weller, Katrin, and Olga Zagovora. 2019. "The hidden influences on *metrics indicators." Metrcs in Transition. Abschlusworkshop des *metrics Projekts, 27.03.2019. Weller, Katrin. 2018. "Archivierung von Social Media Daten." Studentischer Workshop für informationswissenschaftliche Forschung (SWiF 2018) , 01.12.2018. Weller, Katrin. 2018. "Between platform lockdowns and sampling biases: Challenges in using social media data for (computational) social science research." Expertenworkshop des ABIDA Projektes zum Thema Datenintensive Wissenschaften: Theorie & Praxis, 16.11.2018. Weller, Katrin. 2018. "The Challenges of Preserving and Sharing Social Media Research Data." Locked Out of Social Platforms: an iCS Symposium on Challenges to Studying Disinformation, 28.10.2018. Weller, Katrin. 2017. "Angewandte sozialwissenschaftliche Forschung." Eingeladener Diskussionsbeitrag im Masterseminar "Berufsfelder der politischen Kommunikation" an der Heinrich-Heine-Universität Düsseldorf, 11.01.2017. Kommunikation" an der Heinrich-Heine-Universität Düsseldorf, 06.01.2016. Weller, Katrin. 2016. "Big Data - Chancen und Risiken einer kontroversen Technologie." Experten-Workshop im Rahmen des Projektes abida (Assessing Big Data), 08.03.2016. Weller, Katrin. 2016. "Panel Discussion on Digital Politics and the Practice of History ." Contemporary Political History in the Digital Age, Workshop at Foreign & Commonwealth Office, 11.02.2016. Weller, Katrin. 2016. "Saving the News Media." Saving the Web - The Ethics and Challenges of Preserving What’s on the Internet, 16.06.2016. Weller, Katrin. 2016. "The Pleasures and Perils of Studying Social Media." Open Data Cambridge Workshop on "Strategies for managing social media research data", 12.02.2016. http://de.slideshare.net/katrinweller/weller-pleasuresperils-social-media. Weller, Katrin. 2015. "Chances and Challenges of Studying Social Media Data." Presentation at University of Maryland, Maryland Institute for Technology in the Humanities, 30.04.2015. http://de.slideshare.net/katrinweller/chances-and-challenges-of-studying-social-media-data. Weller, Katrin. 2015. "Social Media as Research Data." Preserving Social Media, 27.10.2015. http://dpconline.org/events/previous-events/1578-preserv-social-media. Weller, Katrin. 2015. "The digital traces of user generated content: How social media data may become the historical sources of the future." Lecture series of the John W. Kluge Center, Library of Congress, 14.05.2015. http://de.slideshare.net/katrinweller/the-digital-traces-of-user-generated-content. Weller, Katrin. 2014. "Alternative metrics to measure scholarly performance and their use across disciplines: can big (and sometimes messy) data facilitate collaboration?." Methods, Models, Tools, Best Practices, and Next Steps in Exploring Multi-Institutional Interdisciplinary Collaboration Online and Onsite; Workshop Sponsored by HASTAC, the NSF EAGER Grant team, and the Duke University PhD Lab on Digital Knowledge, 28.05.2014. Weller, Katrin, and Merja Mahrt. 2014. "Big Data: Gewinnung, Auswertung und Darstellung großer Mengen onlinegenerierter Daten in den Sozialwissenschaften." Unterrichtseinheit beim Workshop der Forschergruppe "Politische Kommunikation in der Online-Welt" (DFG Forschergruppe 1381), 13.04.2014. http://de.slideshare.net/katrinweller/big-data-33449350. Weller, Katrin. 2014. "Publishing with impact." 3rd PhD Forum of the Leibniz Association’s Section B, 04.07.2014. http://de.slideshare.net/katrinweller/publishing-with-impact. Weller, Katrin. 2014. "Social Media Daten als Grundlage sozialwissenschaftlicher Forschung: Chancen und Herausforderungen." Eingeladener Vortrag in der interdisziplinären Ringvorlesung des Kompetenzzentrums für empirische Forschungsmethoden der Universität Kassel, 11.06.2014. http://de.slideshare.net/katrinweller/socialmediaforschung. Weller, Katrin. 2014. "Sports out of democracies: sind Sport-Großveranstaltungen in westlichen Demokratien überhaupt noch möglich?." Panel-Diskussion der NRW School of Governance, 02.07.2014. Puschmann, Cornelius, and Katrin Weller. 2014. "Twitter and society." Vortrag im Open Journal Club am Humboldt Institut für Internet und Gesellschaft (HIIG), 15.01.2014. Weller, Katrin. 2014. "Twitter and Society." Vortrag beim Workshop "Digitale Durchdringung", FoKoS Universität Siegen , 17.11.2014. Weller, Katrin. 2013. "Das Spiel dauert 140 Zeichen: wie deutsche Fußball-Vereine Twitter für Marketing und Fan-Kommunikation entdecken." Gastvortrag im Doktoranden-Kolloquium der Abteilung Informationswissenschaft, Heinrich-Heine-Universität Düsseldorf, 08.05.2013. Weller, Katrin. 2013. "Open online communities: from knowledge to metrics." Presentation at Open Online Communities Workshop, 06.02.2013. Weller, Katrin. 2013. "Quantität vor Qualität? : Big Data im Kontext von Social Media Daten." Gemeinsame Sitzung von Vertretern des ADM Arbeitskreis Deutscher Markt- und Sozialforschungsinstitute, der Arbeitsgemeinschaft Sozialwissenschaftlicher Institute (ASI) und des Statistischen Bundesamtes, 12.11.2013. http://de.slideshare.net/katrinweller/uantitt-vor-ualitt-big-data-im-kontext-von-social-media-daten. : new approaches and open challenges." Presentation at advanced course “Uses and effects of social media” at Heinrich-Heine-University Düsseldorf, 26.11.2013. http://www.slideshare.net/katrinweller/social-media-research-methods. Weller, Katrin. 2013. "Twitter research: State of the art and open challenges." Conference Midi à l'école de bibliothéconomie et des sciences de l’information (EBSI), 17.10.2013. Weller, Katrin. 2015. "Arbeitsabläufe und Prinzipien der Erschließung in Informations- und Dokumentationsstellen: Lehrauftrag im berufsbegleitenden Lehrgang “Geprüfter Fachwirt / Geprüfte Fachwirtin für Medien- und Informationsdienste”." Fachhochschule Köln. WS 2014/15: 2 SWS. Weller, Katrin, and Katharina E. Kinder-Kurlanda. 2014. "Grundlagen der Social Media Forschung: Möglichkeiten und Herausforderungen bei der Arbeit mit Facebook, Youtube und Co.: Aufbauseminar im Studiengang Informationswissenschaft und Sprachtechnologie." Heinrich-Heine-Universtität. SS: 2 SWS. Weller, Katrin. 2014. "Nutzerkommentare im Social Web: Teamprojekt im Masterstudium "Informationswissenschaft und Sprachtechnologie"." Heinrich-Heine-Universtität Düsseldorf. SS 2014: 2 SWS. Weller, Katrin. 2013. "Aufbau von Wissensordnungen: Ontologien: Basisseminar im Bachelorstudiengang 'Informationswissenschaft und Sprachtechnologie'." Heinrich-Heine-Universität Düsseldorf. WS 2013/14: 2 SWS. Weller, Katrin. 2016. "Social Media as a Source for Research Data." National Center for Research Methods (NCRM). Weller, Katrin. 2014. "Twitter-Daten in der sozialwissenschaftlichen Forschung: Möglichkeiten und Herausforderungen: Veranstaltung im Rahmen der GESIS Workshop-Reihe." GESIS. Weller, Katrin. 2013. "Twitter-Daten in der sozialwissenschaftlichen Forschung: Möglichkeiten und Herausforderungen: Veranstaltung im Rahmen der GESIS Workshop-Reihe." GESIS. 2 SWS. Weller, Katrin, Markus Strohmaier, Miu Ting Ho, David Brodesser, and Maria Zens. 2018. "The 2nd European Symposium on Societal Challenges in Computational Social Science: Bias and Discrimination." European Symposium Series on Societal Challenges in Computational Social Science, 05.12.2018 - 07.12.2018. http://symposium.computationalsocialscience.eu/2018/. Beucke, Daniel, Martin Giesler, Marni Hanke, Andreas Krausz, Steffen Lemke, Diana Lindner, Athanasios Mazarakis, Maryam Mehrazar, Astrid Orth, Isabella Peters, Julius Stropel, Katrin Weller, Moritz Wiemann, and Olga Zagovora. 2018. "The Road to New Metrics – *metrics Repository Workshop 2018." COAR Annual Meeting 2018, 14.05.2018 - 15.05.2018. Strohmaier, Markus, Noshir Contractor, Dirk Brockmann, Brian Uzzi, Katrin Weller, Diana Lindner, David Brodesser, Maria Zens, Mohsen Jadidi, and Anna Samoilenko. 2017. "3rd Annual International Conference on Computational Social Science: IC2S2 2017." International Conference on Computational Social Science (ICCSS), Köln, 10.07.2017 - 13.07.2017. https://ic2s2.org/2017/. Aiello, Luca Maria, Katrin Weller, Markus Strohmaier, David Brodesser, Miu Ting Ho, Maria Zens, and Diana Lindner. 2017. "The 1st European Symposium on Societal Challenges in Computational Social Science: Inequality and Imbalance." European Symposium Series on Societal Challenges in Computational Social Science, 15.11.2017 - 17.11.2017. Génois, Mathieu, Katrin Weller, Julian Kohne, Claudia Wagner, and Markus Strohmaier. 2017. "Workshop: Addressing Big Societal Challenges with Digital Behavioral Data." The 1st European Symposium on Societal Challenges in Computational Social Science, 2017: Inequality and Imbalance, European Symposium Series on Societal Challenges in Computational Social Science, 15.11.2017 - 15.11.2017. https://www.gesis.org/angebot/veranstaltungen/gesis-tagungen/addressing-big-societal-challenges-with-digital-behavioral-data/. Peters, Isabella, Dirk Lewandowski, and Katrin Weller. 2016. " 7. Studentischer Workshop für informationswissenschaftliche Forschung (SWiF 2016)." Kiel, 18.11.2016 - 19.11.2016. http://swif2016.jimdo.com/swif/2016-kiel/. Weller, Katrin. 2016. "#Microposts2016: 6th Workshop on Making Sense of Microposts ." World Wide Web Conference 2016, Montréal, 11.04.2016 - 11.04.2016. http://microposts2016.seas.upenn.edu/. Strohmaier, Markus, Katrin Weller, and Diana Lindner. 2016. "3rd GESIS Computational Social Science Winter Symposium: understanding social systems via computational approaches and new kinds of data." Köln, 30.11.2016 - 01.12.2016. http://www.gesis.org/css-wintersymposium/home/. Weller, Katrin, Luca Rossi, and Fabio Giglietto. 2016. "FAIL! Things that didn't work out in social media research - and what we can learn from them." International Conference on Web and Social Media (ICWSM-16), Köln, 17.05.2016 - 17.05.2016. https://failworkshops.wordpress.com/fail-at-icwsm-16/. Strohmaier, Markus, Krishna P. Gummadi, Claudia Wagner, Katrin Weller, and Diana Lindner. 2016. "The 10th International Conference on Web and Social Media." ICWSM-16, Köln, 17.05.2016 - 20.05.2016. http://www.icwsm.org/2016/. Weller, Katrin, Luca Rossi, and Taha Yasseri. 2015. "#FAIL! Things that didn't work out in social media research - and what we can learn from them." Web Science Conference 2015 (WebSci), Oxford, 29.06.2015 - 29.06.2015. https://failworkshops.wordpress.com/. Weller, Katrin, Luca Rossi, and Karine Nahon. 2015. "#FAIL! Things that didn't work out in social media research - and what we can learn from them." Internet Research (IR16), Phoenix, AZ, 21.10.2015 - 21.10.2015. https://failworkshops.wordpress.com/fail-at-ir16/. Strohmaier, Markus, Katrin Weller, and Diana Lindner. 2015. "2nd Computational Social Science Winter Symposium: Understanding social systems via computational approaches and new kinds of data." Köln, 01.12.2015 - 03.12.2015. http://www.gesis.org/css-wintersymposium/home/past-events/css-winter-symposium-2015/. Weller, Katrin, Danica Radovanovic, and Aba-Sah Dadzie. 2015. "Making Sense of Microposts (#Microposts2015) Social Sciences Track." World Wide Web Conference 2015, Florence, 18.05.2015. http://ceur-ws.org/Vol-1395/microposts2015_socsci-report.pdf. Kraker, Peter, Elisabeth Lex, Isabella Peters, and Katrin Weller. 2015. "Quantifying and Analysing Scholarly Communication on the Web (ASCW'15): What can bibliometrics do for you? What can you do for bibliometrics?." Web Science Conference 2015 (WebSci), Oxford, 30.06.2015 - 30.06.2015. http://ascw.know-center.tugraz.at/. Lewandowski, Dirk, Isabella Peters, and Katrin Weller. 2015. "Studentischer Workshop für informationswissenschaftliche Forschung (SWiF 2015)." Hamburg, 20.11.2015 - 21.11.2015. Dröge, Evelyn, Violeta Trkulja, Katrin Weller, Isabella Peters, and Dirk Lewandowski. 2014. "5. Studentischer Workshop für Informationswissenschaftliche Forschung (SWiF 2014)." 14.11.2014 - 15.11.2014. https://www.ibi.hu-berlin.de/forschung/information_retrieval/swif14. Weller, Katrin, and Cornelius Puschmann. 2012. "2nd Düsseldorf workshop on interdisciplinary approaches to twitter analysis (#diata12)." Düsseldorf. http://nfgwin.uni-duesseldorf.de/de/diata12. Weller, Katrin, and Cornelius Puschmann. 2011. "Düsseldorf Workshop on Interdisciplinary Approaches to Twitter Analysis (#diata11)." Düsseldorf. http://nfgwin.uni-duesseldorf.de/diata11-program. Kraker, Peter, Katrin Weller, Isabella Peters, and Elisabeth Lex. 2015. Bringing together bibliometrics research from different disciplines – what can we learn from each other? : LSE Impact Blog. LSE Impact Blog. http://blogs.lse.ac.uk/impactofsocialsciences/2015/12/04/bringing-together-bibliometrics-research-from-different-disciplines/.